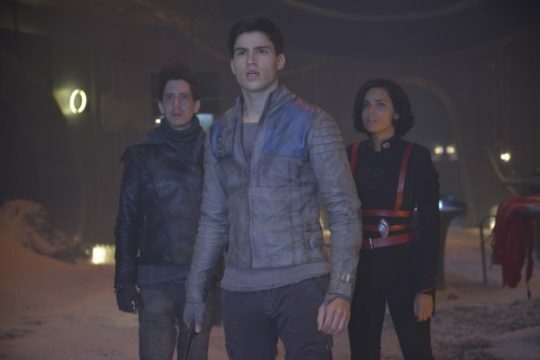 Syfy is getting into the lucrative comic book television game with Krypton, a prequel to the Superman mythology which explores the life of the Man of Steel’s grandfather on the infamously doomed planet. We still don’t know too much about the project – a recent leaked trailer popped up online for a few days before disappearing – but our interest is already piqued. With the news that the network has requested a full season of the show on the back of the pilot, ComicBook.com spoke to Chris McCumber, President of Entertainment Networks for NBCUniversal Cable Entertainment, about the new series. McCumber remained tight-lipped, as expected, but he did reveal that the show would “definitely contain other DC comics characters in the Krypton world” and that Syfy has had “had plenty of talks with Warner Bros.” about the use of these characters. DC fans, start your theorizing. Given the time frame of Krypton and the cosmic setting, we imagine that many of DC’s pantheon of heroes are out of the running. However, the likes of, say, the Green Lantern Corps (minus human members like Hal Jordan and John Stewart) stand a chance of appearing. Brainiac, meanwhile, is surely a dead cert, as the evil android has a lot of history with Krypton in the comics. 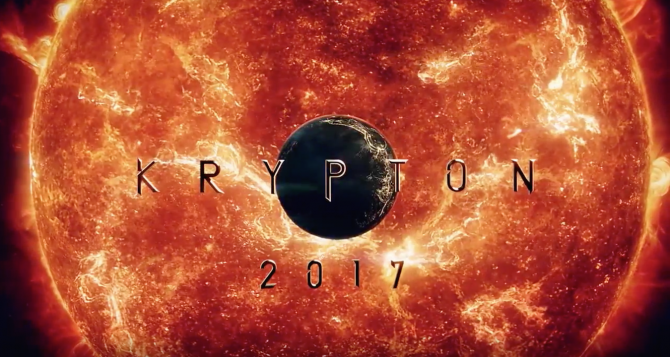 Krypton‘s pilot was scripted by Man of Steel writer David S. Goyer, which has led to much speculation that the series takes place in the continuity of the DC Extended Universe. The show doesn’t have a set release date at the moment, but we’ll be sure to keep you posted as we learn more.